My Aunt Geri makes most of the hats. Mom and I are very basic knitters, still using looms for the most part. We’ve been getting orders, and we always have to go through the obligatory, “Well, do you want a square-ish hat or more roundy or…what?” Rather than struggle with describing that on the phone, here’s the low down. 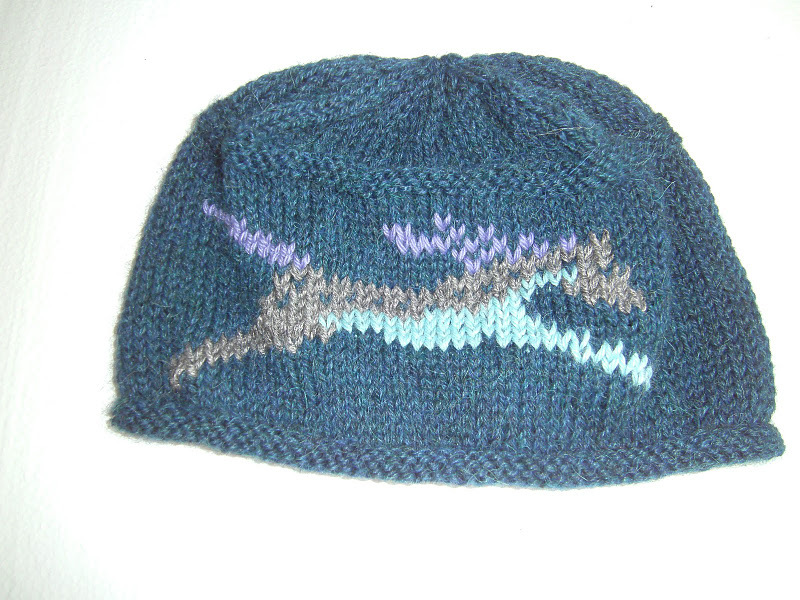 Knit with one color of yarn (the green and blue yarns above are variegated), these hats are super warm. They look sort of Mongolian to me. You could put a tassel on top of it as well, up to you (see the Paco hats, below). Named for the colors, the Taos pony hat is a variation on the yurt hat decorated with a running pony. 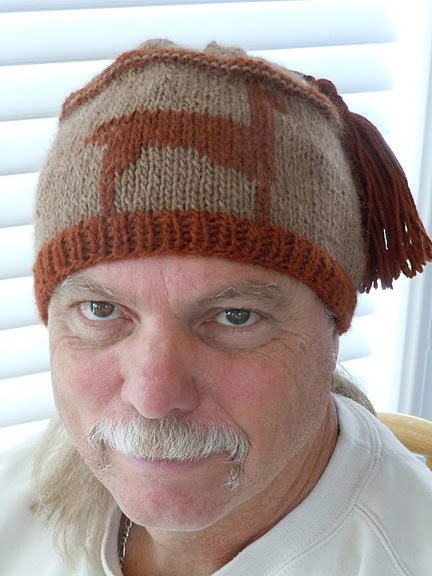 Also the same style as the yurt hat, only decorated either with an alpaca or a pony. 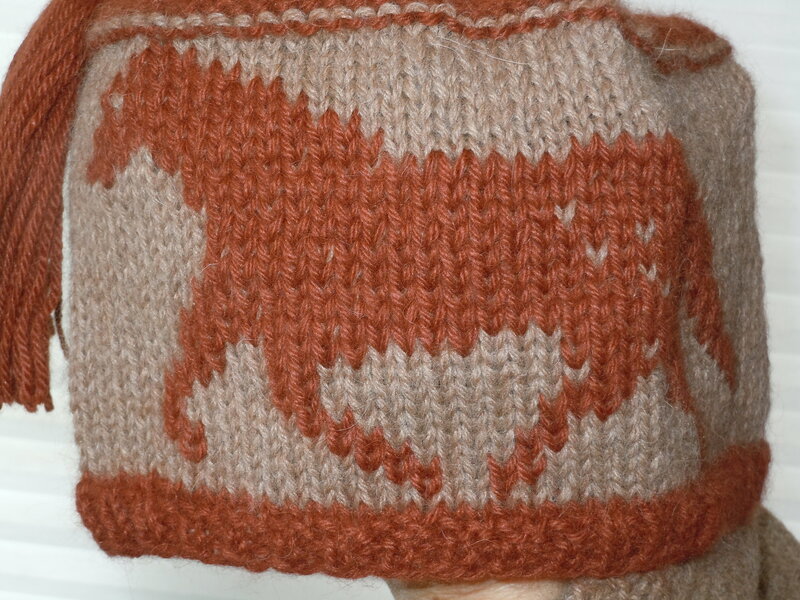 This hat is knit in two contrasting colors, with a brim and other decorations in the same contrast as the animal. Tassel or no tassel, up to you. 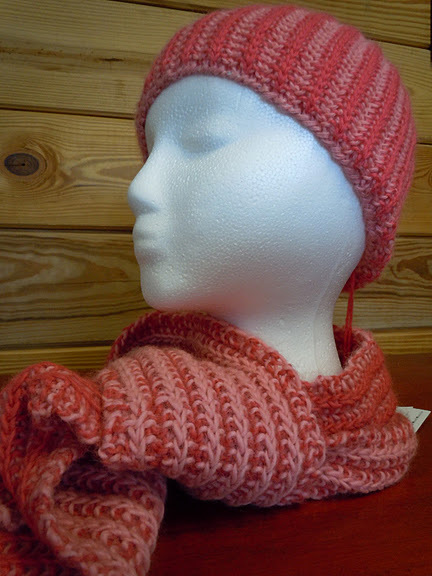 A brand new hat type that matches Aunt Geri’s beautiful patty scarves. Knit using two different colors, these hats are a ton of work. Mom and I make these using our rake looms. 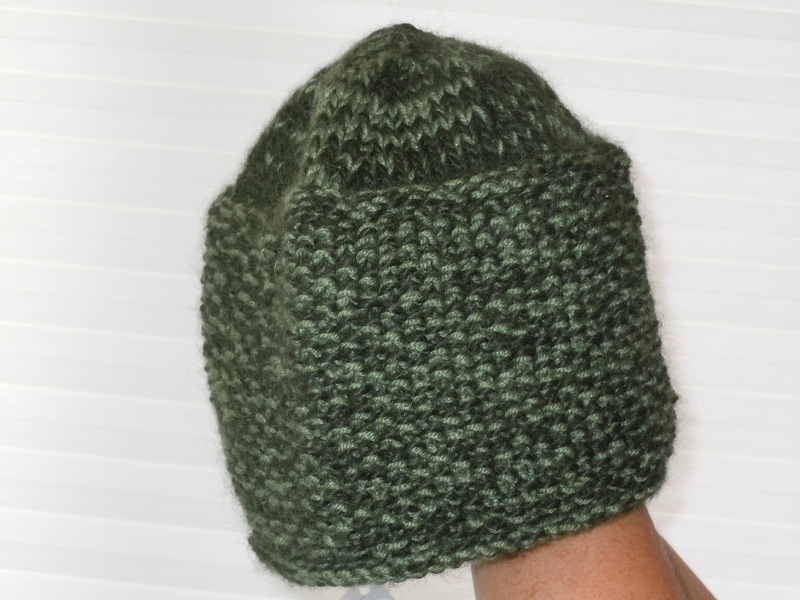 It’s a simple knit stitch, single stitch for a lacy-er hat, double stitch for something warmer. 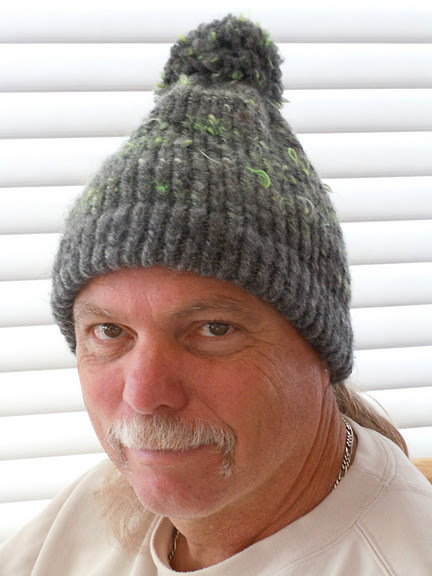 The width of the brim is up to you, as is whether or not you want a pom-pom. 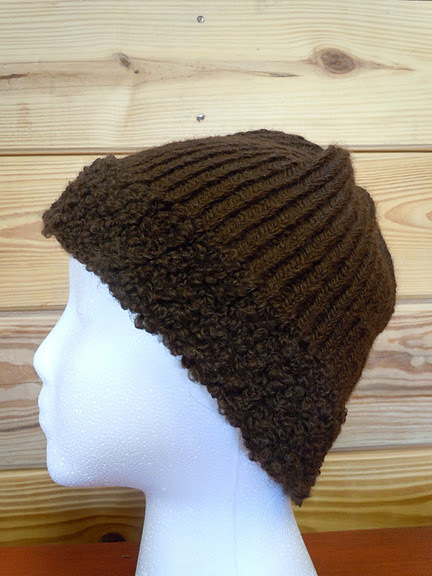 This is a variation on the basic stocking hat that has baby alpaca yarn as a brim. 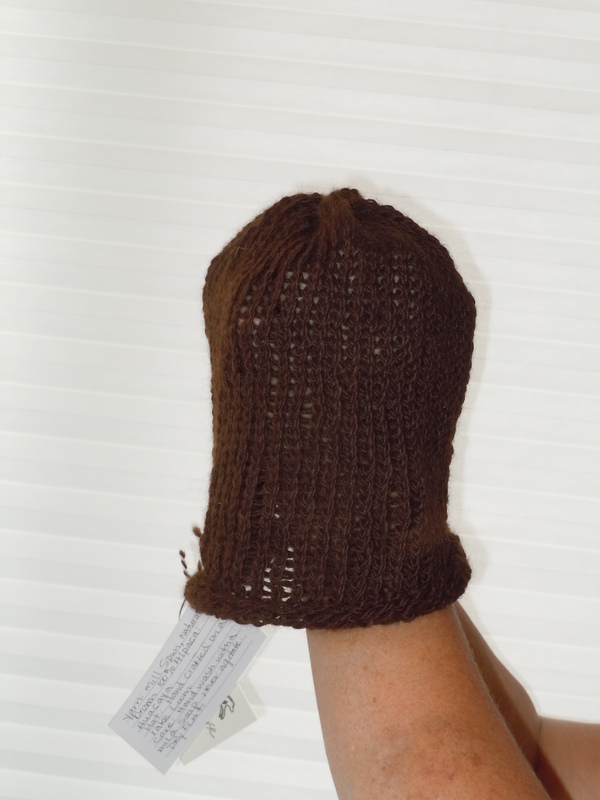 This yarn is especially soft and warm, so it’s particularly nice to have over your ears and around your face. 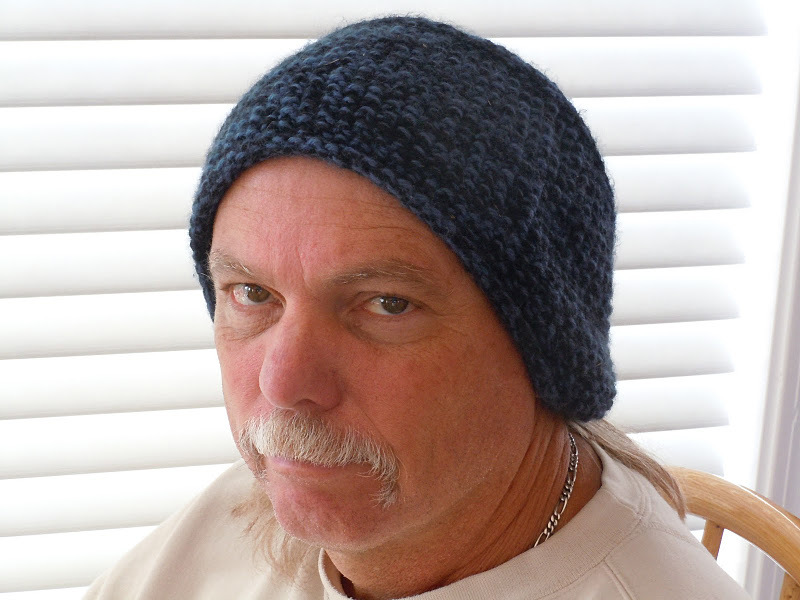 Mom and I make these too, we use either no or a very narrow brim. Hats with no brim, as on the right, tend to curl in a very feminine way. 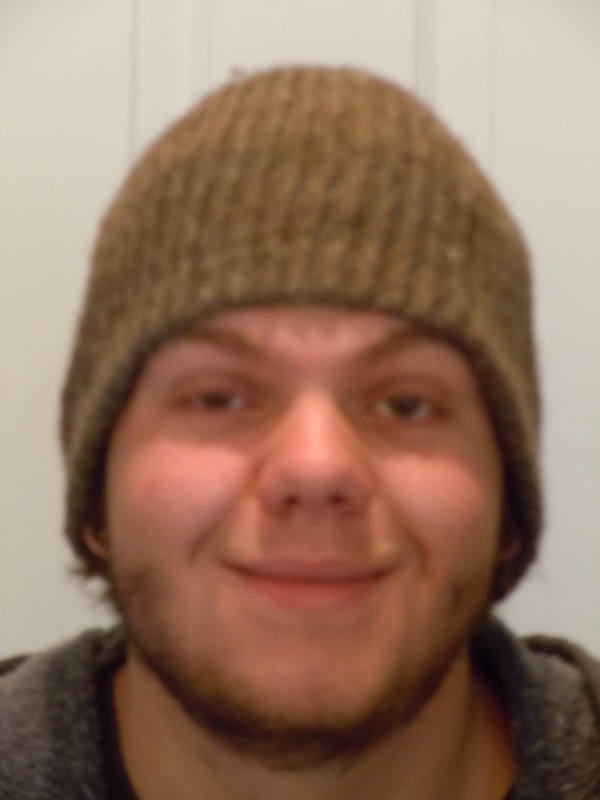 Beanies don’t have pompoms, as a rule. 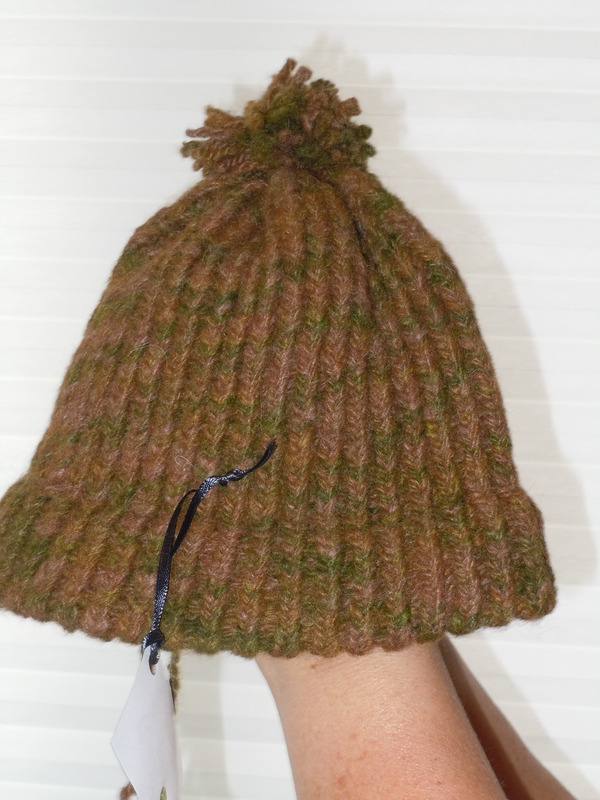 This entry was posted in fiber art and tagged alpaca yarn, hats, knit, knitting, yarn. Bookmark the permalink.